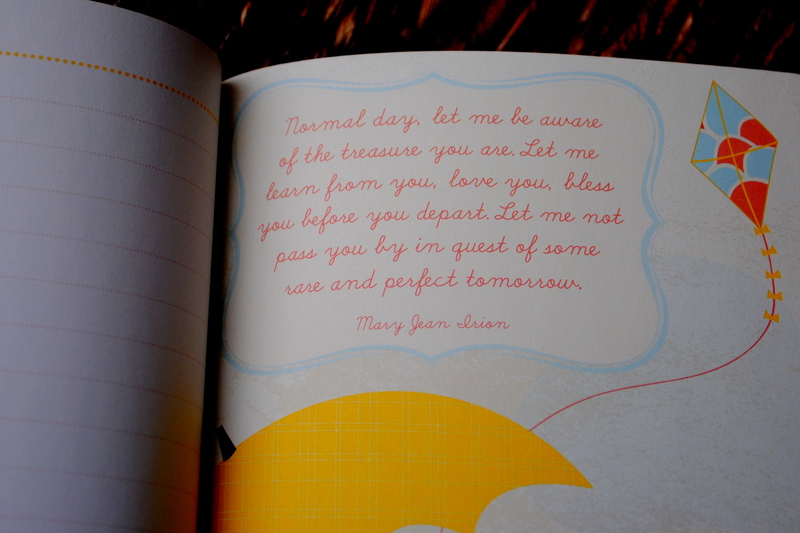 I discovered this adorable journal on a recent shopping excursion. 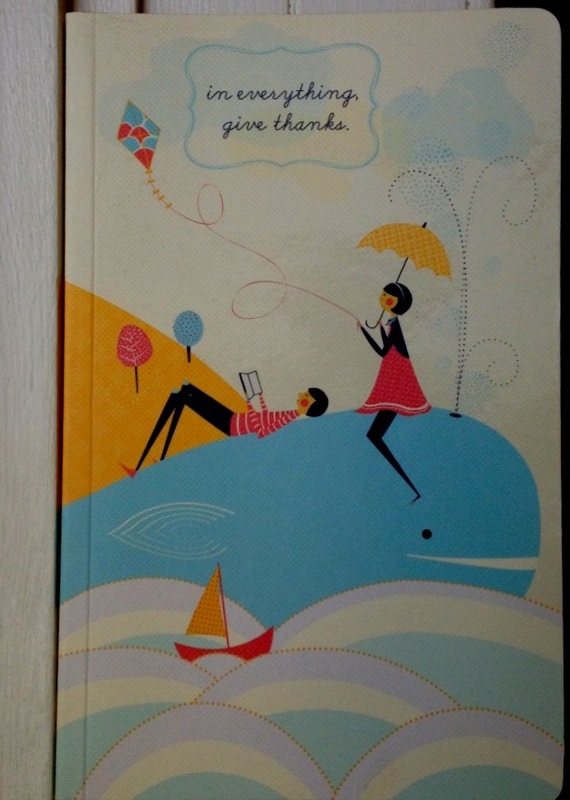 I was drawn to the cover design and the words “in everything, give thanks” inscribed on the top. So, I thumbed through the pages for a more in-depth investigation. 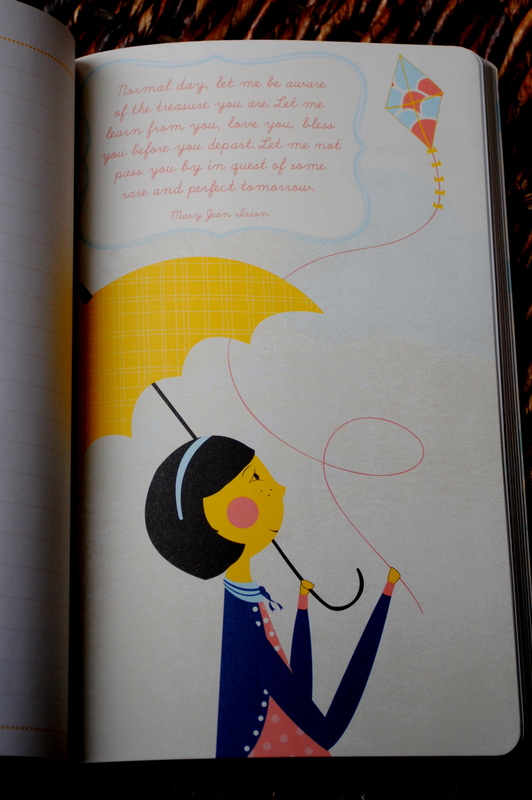 I read this page and knew that this little book, bound with gorgeously illustrated paper, was intended to be mine. There are random quotes throughout, but this quote in particular tugged on my heart. So, I purchased it and plan to journal about what I am grateful for. Because I am blessed. Sometimes, I forget that. All too easily I forget that. So, I plan to remind myself over and over again. Because let’s face it, we could all use a reminder of the goodness in our lives. I admit that sometimes I may inadvertently possess a ‘woe is me’ attitude. I don’t mean to. But it seems to be in our human nature to see what is wrong instead of what is right. So, I intend to use this gratitude journal to focus on the good in my life and celebrate the extraordinary in the most simple moments. I thought it rather fitting to make this prayer the first entry in my gratitude journal.